I have just heard the very sad news that Dave Bolton, warden of Roxbourne Rough, died on 5th July. Dave was a creative and knowledgeable gardener responsible for many gardens around Harrow including the Peace Garden in Pinner Memorial Park. His own garden was a marvel, with an extraordinary range of plants crammed into a tiny, narrow and steep plot. Dave was one of a small team that took over an area of derelict British Gas land in 1992 and turned it into Roxbourne Rough, a beautiful oasis much loved by local residents. He then took the site under his wing and has cared for it and nurtured it ever since, putting in an enormous amount of time and effort. He will be sorely missed. We welcome two new volunteer wardens to the team. Santoshi (Tosh) Padhiar joins us as warden for education and outreach at Wood Farm. Her role is to liase with schools, voluntary groups and others to encourage and facilitate the use of the visitor centre at Wood Farm. Josh Kalms has been an enthusiastic volunteer at Stanmore Common for over two years and now formally joins that team as an assistant warden. On Saturday June 25th we held the official opening of Wood Farm. This went very well with lots of families attending. Many thanks to the many members who worked very hard to make the event a success including Tosh Padhiar who did a lot of the organization, Simon Braidman who took children pond dipping in the pond on site, Claire Abbott who had a whole crowd of children waving butterfly nets over the hill beside the car park to catch bugs, John Winter at whose stand children made bug houses, Elizabeth Stanthorpe and Brian Hunter who brought and manned telescopes at the view point, Leslie Bolsover who manned the vehicle gate and Sue Kabel and Josh Kalms who mucked in and manned the Forum stand when it would otherwise have stood empty. Thanks also to Peter Elton, Rosemary Etheridge, Margaret Huitson, Peter Peretti and Robert Stone, as well as to those of us who wore other hats for the day, such as John Hollingdale and Jane Skelly at Friends of the Earth and David Winton at Vole Patrol. Thanks also to people from other organizations who gave up their Saturday for the event including Aline Bowers from Harrow Beekeepers, Pippa Reid and Vivien Keiles who entertained children with stories and music, Roger Havard from the Herts & Middx Bat Group and Paul Busby at Vole Patrol. We say a sad farewell to Denis Vickers. Denis has been a wonderful biodiversity officer at Harrow for nearly seven years. He is enormously knowledgeable on all things natural and ecological and has been extremely supportive of our endeavors. We wish him all success as a freelance ecological consultant. Working parties continue to meet on the first Saturday of the month. Jane reported that on 2nd April we teamed up with Harrow Natural History Society for a lichen walk led by Rosemary Etheridge. We were able to identify eleven lichens some in the woodland and others on stone. The pond area has been recently cleared to permit more light, and the water surface is now relatively free of duckweed. The Churchyard has been looking very good, especially the primroses. Grazing Grazing is now organised after protracted negotiations over the winter months. John Chapman is the new farmer. He intends to initially graze 24 head of Red Devon yearlings, which conform to the requirements of Natural England to use English Heritage breeds for conservation grazing on SSSIs. There have been revisions to the compartment boundaries in order to facilitate access and checking the cattle. Environment Agency The path to the turning area at Summer House Lake is now complete together with a bench positioned to give view over the lake. Study Centre at Masefield Ave. Entrance Surveys and work specs are being prepared and costed. Hopefully, this can be organised quickly. Felling of trees around this building needs to be put in hand. Dragonfly ponds The lower pond has now been dammed and extended which completes the creation of this valuable aquatic habitat, which has used the existing spring to advantage. Translocation of Wood Ants Glenthorne Area Wood pile including birch logs now built and ready to use. We were given the impression that ants were available from Burnham Beeches, but the warden there has not been able to organise this and has yet to contact Natural England. Reptile Survey Working with Froglife, we have placed 40 roofing felt mats of the site to be surveyed in May and June. Some of these seemed to have moved or disappeared from the site. Peter thinks that corrugated iron sheets would work better. We found one toad under one when we checked last week but little else. Volunteer Sessions We have had 3 working parties on Bentley Priory as part of the weekly Wednesday working parties. We have planted Alder Buckthorn in Glenthorne, started clearing scrub in Spring Meadow and created the wood pile for the wood ants as well as surveying the Adders Tongue. The Adder's Tongue ferns appear to be benefitting from the current management regime. Bentley Priory Circular Walk Steve reported that regarding the Circular walk: bollards and information panels are all in place. He is 'snagging' in preparation for writing the leaflet. Steve reported that efforts to find a warden for the site have so far been unsuccessful. However Leslie likes the site and feels that the neighbourhood is friendly and that there is a chance that someone will come forward. A problem is the condition of the water bodies on the site. She will continue to sow seeds and collect rubbish and would like us to keep the site on our books. She has agreed to be a temporary warden. Steve will make sure that laminated adverts for a warden are replaced as they are lost. Claire reported that a small mammal survey is being undertaken in Pear Wood along with the London Wildlife Trust. This has included using tunnels to inspect footprints, using 'shrew tubes' to collect droppings, a motion triggered camera (results not yet seen) and a week of live trapping which is not complete at time of writing. So far the live trapping in particular has been incredibly successful. We are delighted with the results, which are proving Pear Wood is very special indeed with an amazing variety and number of small mammals. We are trapping up to 60 animals per day and have found field and bank voles, wood mice, rare yellow-necked mice and pigmy shrews. Claire in particular (and Simon and others) have devoted enormous time to small mammal trapping, up very early every day and doing the evening visits too. There has been an issue with a mountain biker around the lake and Claire will put no cycling notices in place. 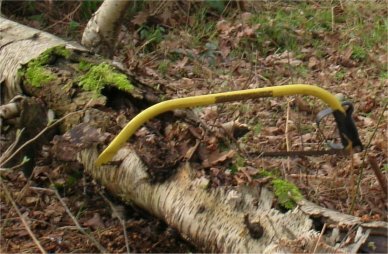 Unfortunately there has been evidence of deer poaching in Pear Wood and Stanmore Country Park. Work has continued on clearing litter as always and the ditch and drainage kept clear. Clearing of fallen branches and the usual cutting back has been carried out. Seven beech saplings and more snowdrops and primroses have been put in. Now that the water level has gone down cutting the grass edges with a new lawnmower) can take place. It was noted that Roxbourne Park now has a Friends’ Group. Simon reported that he was especially pleased with the Bat Walk held on the 6th May. We had 12 people including the excellent David Winton who is leading the camera trap project plus Wendy Knight who looks after bats and knows a lot about them and the amazing Justin Hall from the Herts and Middx Bat Group. He brought along his £1100 bat detector with hand built low capacitance microphone. With his help we detected and saw Common Pipistrelle, Soprano Pipistrelle, Noctule, Serotine and a new species for the reserve, Natterer’s Bat. Justin says he is pretty certain but he will confirm by analysing the recordings. The Natterer’s passed us on the horse ride descending down towards Pynding Mersc. A few of us stayed on and went to the Brewer’s Ponds. Wendy; David and I got a clear signal of Noctule and then we saw Daubenton’s Bat over Great Brewer’s Pond. It was a brilliant walk. Josh Kalms is now an assistant warden: at present doing a BSc in Conservation Ecology at the University of Worcester. Leslie’s low cost repair of QR codes seems to have worked. Ed. Simon has also sent a very detailed account of the work that he and his trusty band of volunteers and also the many varied walks he has led, both on Stanmore Common and elsewhere in Harrow. Contact Simon on simonbraidman@hotmail.co.uk to be added to his mailing list. Much of this period has been taken up by inspecting the Nature Trail and removing fallen trees from it. We also complete the winter work on a willow in 6 acre field. The monthly team cleared trees from the eastern end of the gas ride to allow insects access from Wood Farm and opened up the Dragon Ride by relocating brash to widen the area of grassland. Steve, with his trusty chainsaw, cleared another fallen tree blocking the path into the Scouts Field. Work was also done in John Hall’s Field by a contractor to remove birch and oak to open out this field to more sunlight. It does look like a battlefield at present but nature will return; eventually. The moth evening on the 9th April did not enjoy the best of weather, being cold and clear. Only three moths arrived in a five minute period, and as we got colder and colder, the evening was terminated early. The spring walk on the 30th April was blessed with sunshine so we saw five species of butterfly, a Red Kite and a Muntjac deer. As Joanne Colthup was with us to point out the flora, we now need to go back and examine one or two plants more closely. Stanmore Little Common and its ponds are thriving but something mysterious has happened to the outflow from Spring Pond. Water goes underground from the pond then emerges lower-down to feed a small lake and several ponds between the houses on Stanmore Hill and Dennis Lane. The source has dried up and these ponds are now stagnant. Mick Bradshaw, Senior Engineer, Drainage, has been alerted an it is hoped that the problem will be investigated soon. It is also to be hoped that with the new financial year the Council will keep their promise to mend the two gaps in the fence on the north-western side of Caesar's Pond. One, near a picnic-table, is particularly dangerous for toddlers (and the other was caused by Council contractors). The car park is now being opened by volunteers from the Hindu temple. So far they are being extremely reliable and they are thanked for this. It is opened at 10 am and closes at 8:30pm during BST; at 4:30 in the rest of the year. We have our warden for outreach and education: Tosh (Santoshi) Padhiar. The visitor centre is open for business and even has furniture. However the security shutters have not yet been fitted. It has been used a number of times already. Tosh agreed to be responsible for some cleaning and tidying up work at the Centre. Tye (Tyrone) Atkins is willing to have a go at being the site management warden. Tosh outlined some of the preparations for the grand opening event on Saturday June 25th. So far a number of attractions are booked. Simon agreed to talk with John Winter regarding a proposed children’s activity to construct bug hotels. Since the last Forum meeting we have received two reports on water quality from the sewage treatment system. Rubbish bins have been installed including the rubbish bin at the viewpoint.